Darby Creek (Tm), 9781606844526, 176pp. Readers who loved Guinea Dog have been sitting, begging, and rolling over for a sequel. 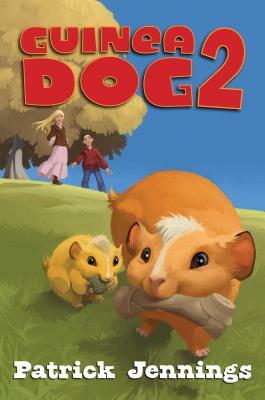 The beloved Patrick Jennings returns with the follow up to his award-winning and state list hogging title When his classmates learn about Fido, the guinea pig that acts like a dog, they all want a piece of Rufus, her owner. But Rufus hates the attention, the demands, the "celebrity." So he decides to make Fido learn how to be an actual guinea pig. But when she goes missing, he feels terrible. Was she lost, "dognapped," or did she run away, because he no longer liked her just the way she was? Offering the same offbeat humor and pacing of the first Guinea Dog, this novel will prove to be a reader's best friend.